Raised Up Down Yonder attempts to shift focus away from why black youth are "problematic" to explore what their daily lives actually entail. 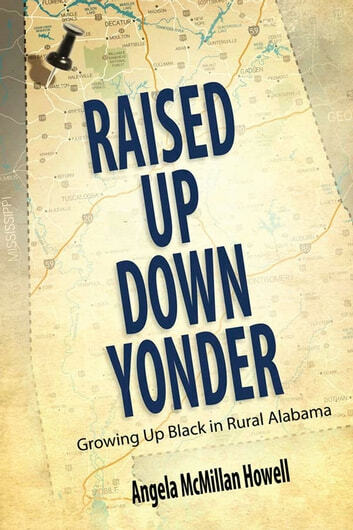 Howell travels to the small community of Hamilton, Alabama, to investigate what it is like for a young black person to grow up in the contemporary rural South. What she finds is that the young people of Hamilton are neither idly passing their time in a stereotypically languid setting, nor are they being corrupted by hip hop culture and the perils of the urban North, as many pundits suggest. Rather, they are dynamic and diverse young people making their way through the structures that define the twenty-first-century South. Told through the poignant stories of several high school students, Raised Up Down Yonder reveals a group that is often rendered invisible in society. Blended families, football sagas, crunk music, expanding social networks, and a nearby segregated prom are just a few of the fascinating juxtapositions. Howell uses personal biography, historical accounts, sociolinguistic analysis, and community narratives to illustrate persistent racism, class divisions, and resistance in a new context. She addresses contemporary issues, such as moral panics regarding the future of youth in America and educational policies that may be well meaning but are ultimately misguided.